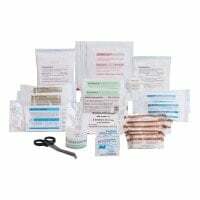 The first aid kit provides quick access to the required dressing material, such as plaster, compresses or bandages, during a medical emergency. 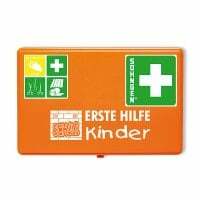 In our online shop, you will find the proper dressing kit for use at the workplace, in schools, kindergartens or for leisure time. 69,00 EUR* Not ready for shipping. Reserve today and we will ship as soon as possible. 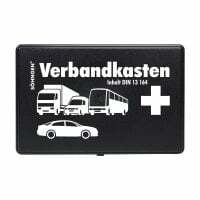 32,00 EUR* Not ready for shipping. Reserve today and we will ship as soon as possible. 524,62 EUR* Not ready for shipping. Reserve today and we will ship as soon as possible. 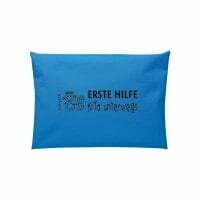 22,30 EUR* Not ready for shipping. Reserve today and we will ship as soon as possible. 35,50 EUR* Not ready for shipping. Reserve today and we will ship as soon as possible. 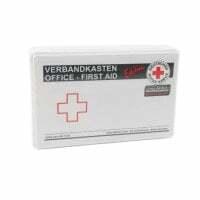 Every place of work needs a first aid kit as part of its pre-required emergency equipment. Such a kit will include various dressing materials and other items (scissors, wraps, plaster dispensers or procedure brochures) that would be needed for first aid. 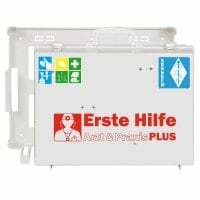 The equipment in the first aid kit is oriented on the type of service and the number of employees. However, DIN 13169 calls for a specific, pre-requisite size of dressing kit, as written in the law. 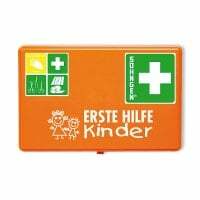 The first aid kit is therefore suited for use in schools, kindergartens or for leisure activities. 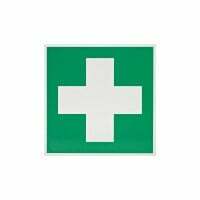 It is extremely important that a first aid kit be stored in such a place, which allows each employee unhindered access to it. 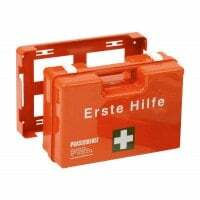 Therefore, many first aid kits are delivered with a compatible wall bracket. In order to make dressing kits visible over a long distance, they are typically found in signal colours, such as yellow or orange. 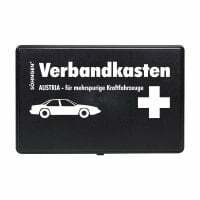 The typical symbol (white cross on a green background) should either be printed on the case or placed above the kit as an indicator. The articles that fill a first aid kit will usually have an expiration date. This date denotes that the dressing sterility or functionality (e.g. adhesiveness of wound plasters) can only be guaranteed until this day. Once the expiry date has been reached, it is important to dispose of the products and replace them. 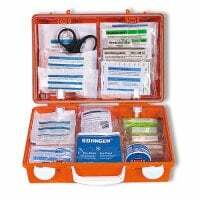 For this purpose, one can find complete refill sets and fill assortments for first aid kits, which meet all legal prescribed requirements. 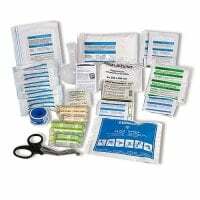 As an alternative to a first aid kit, a dressing kit can also be used so long as the contents meet the legal requirements. 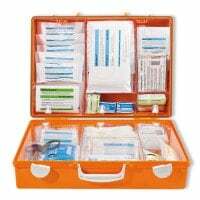 The advantage of a dressing kit lies in the compact dimensions, but the disadvantage is the fact that the required products are not as easily accessible as with a first aid kit. 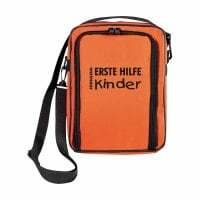 In this category, we provide you with various first aid kits, dressing kits, dressing cabinets and wrap sets for carrying out first aid procedures at the workplace, in a school or in a kindergarten. 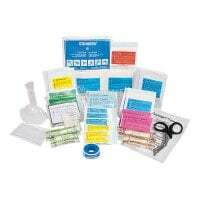 Among others, you will also find first aid kit refill sets in accordance with DIN 13157 and a pocket resuscitation mask for expanding your first aid equipment. 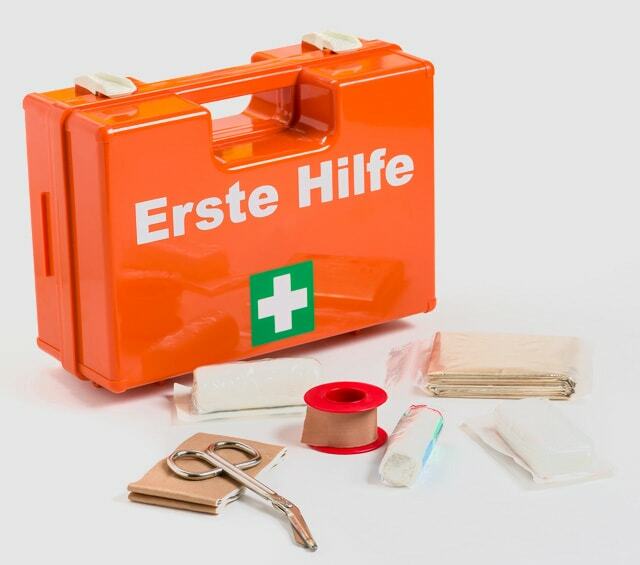 Whether you need first aid kits, dressing kits or wrap sets - with Praxisdienst, you will find the proper first aid supplies for every requirement!